Whether you’re in the market for a new Jeep Grand Cherokee or Dodge Journey, you want to be sure you’re getting the best deal possible. Enter: John L Sullivan Dodge Chrysler Jeep Ram’s new vehicle specials! Because we offer a diverse rotating selection, you’re sure to find something you love near Sacramento for a great price. Contact us today to inquire about any of the models you like. In addition to our rotating new vehicle specials, you’ll also enjoy having access to our fully-equipped service center and our expert technicians who only use genuine Mopar® parts. To get an idea of what your monthly payments will be when you take advantage of our great deals, consult our online payment calculator. 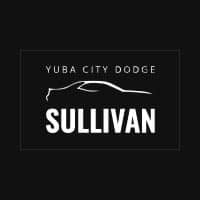 When you’re ready, visit John L Sullivan Dodge Chrysler Jeep Ram near Roseville to find your new Jeep Wrangler or Dodge Charger. Our Chrysler, Dodge, Jeep, Ram professionals look forward to helping you!